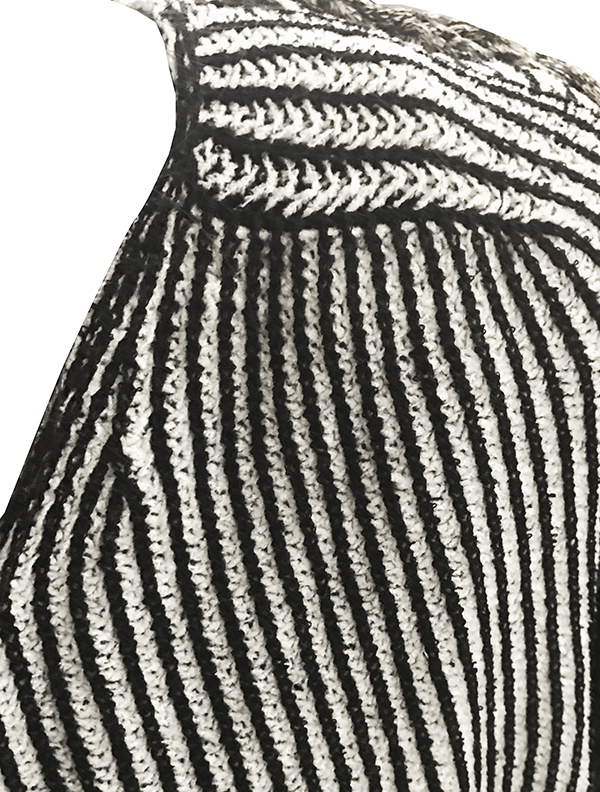 It is a half-cardigan knitted stripe knitted fabric. I use black wool yarn and color chenille yarn. The facial expressions change a lot depending on which yarn is on the top of the stripe. 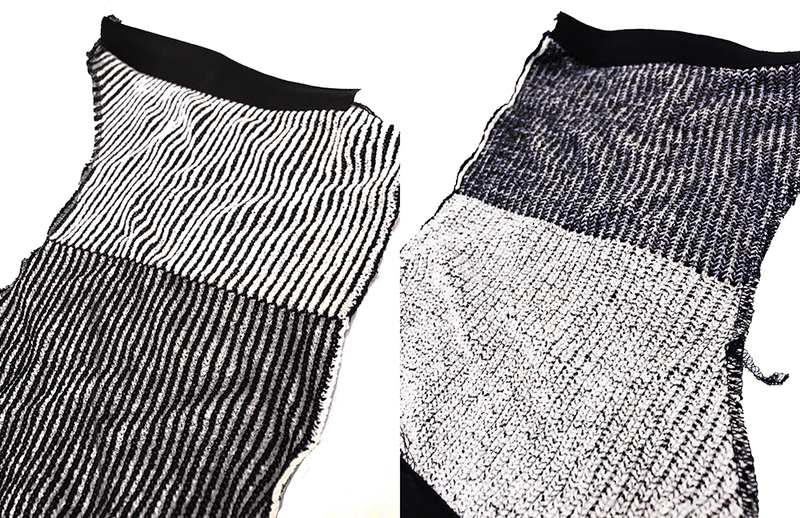 The outer side is relatively sharp as black wool yarn comes out strongly and the inside becomes softer touch as chenille yarn overcomes. 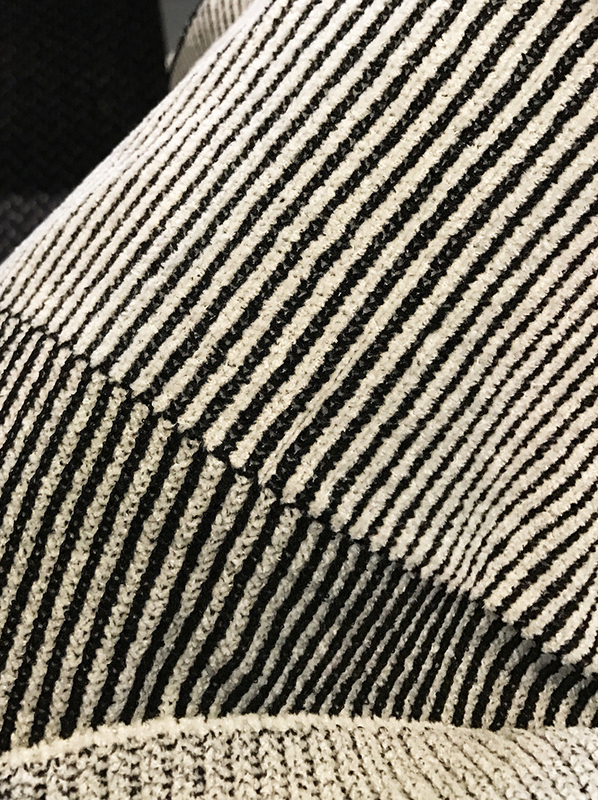 Because it is a fully-fashioned knit, stripes can be bent or connected as long as the knitting machine permits. As this comes in great involvement in design and shape, I study and draw where to put it.